At Green Window Works we pride ourselves on the quality of our work, the effectiveness of our process, and the excellence of our customer service. Thanks to this approach our reputation is growing. 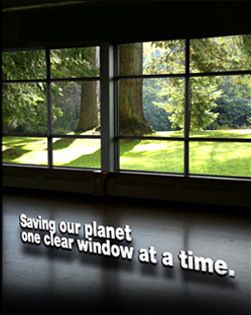 Canadian owned and operated since 2004, we have repaired tens of thousands of windows and in doing so have created thousands of satisfied customers and diverted tons of windows from landfill. On numerous occasions we have even been asked to repair windows previously “treated” by companies or individuals claiming to offer comparable services. Our philosophy of honest work at a fair price generates the precious referrals we need to grow our business. New dealership opportunities are available for those who share our business ethic. Ehren has been involved in the restoration of thermal windows since 2003. As a serial entrepreneur, Ehren has had the great fortune of growing a number of successful small businesses. When first introduced to the technology Ehren immediately recognized its potential value to home owners, business owners, and to the environment. Since 2003 Ehren has dedicated his time to perfecting the process, developing a valuable service model, and focusing on customer service. Ryan earned a doctorate in Biomaterials and Biomedical Engineering at the University of Toronto. Since that time Ryan has been involved in multiple heath and technology related companies in capacities ranging from directing scientific research, product management, and business development. Ryan is excited to support the growth of Green Window Works and its service and product offerings.